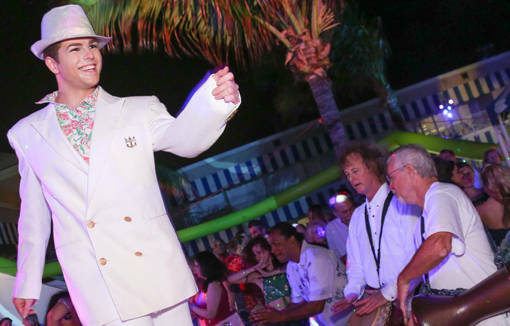 PALM BEACH, Fla. – Expect lots of pink and green at The Beach Club on Dec. 26, 2014, as the Red Cross “Beach Bash” returns for another jungle-themed adventure in fund raising. 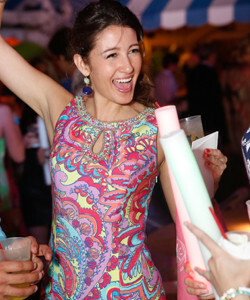 The eighth-annual party will again be held in collaboration with the Lilly Pulitzer fashion house. “What Happens in the Jungle, Stays in the Jungle” is the theme. The event’s 2014 committee includes Bobby and Ivey Leidy, Zach Berg, Amanda Coleman, Chris DiSchino, Mary Victoria Falzarano, Richard Gaff, Nick Kassatly, Lilly Leas, Chris Leidy, Carl Loof, Brooke Chapman-Marshman, Whitney McGurk, Dabney Mercer, Tinsley Mortimer, Robert Murphy, Hess Musallet, Stacy Nichols, Stephanie Pittington, Ted and Elena Peroulakis, Phil Reagan, Kelly Ring, Richard and Lauriston Segerson, Siobhan Helene Shea, Andrew Steel, Bruce Sutka, and Angela Vecellio. All proceeds from the “Beach Bash” will support the work of the American Red Cross, helping people prevent, prepare for and respond to emergencies. The theme takes its cue from the late fashion icon, whose own backyard was nicknamed “the jungle.” It was there that Pulitzer entertained guests amid the lush foliage and roaming wild cats. In addition to the support of the Lilly Pulitzer Corporation, Zach Berg will also be a sponsor. Tickets start at $250 and sponsorship opportunities are available.